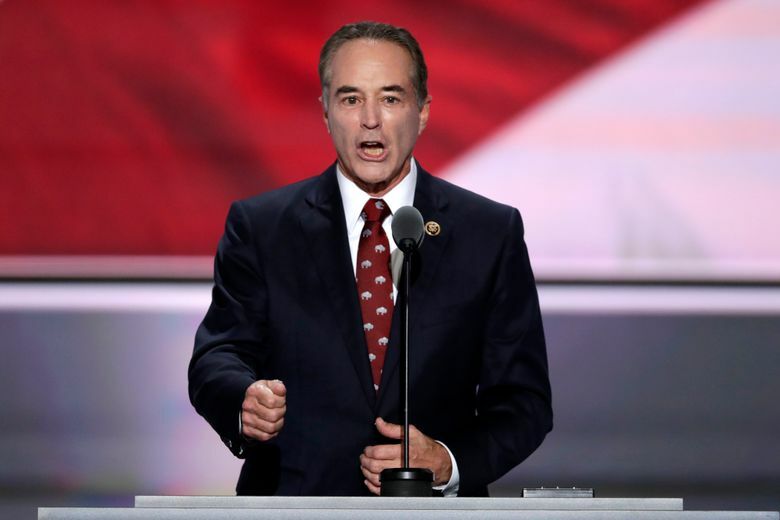 Republican U.S. Rep. Christopher Collins of New York was arrested Wednesday on charges he fed inside information to his son. 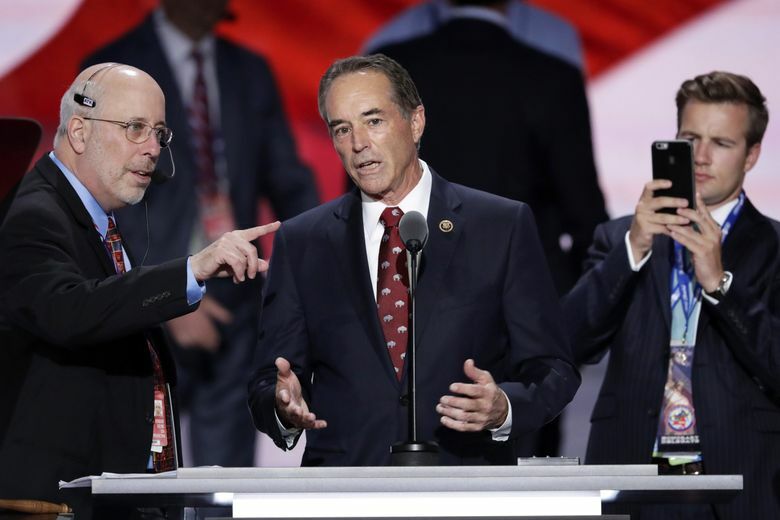 NEW YORK (AP) — Republican U.S. Rep. Christopher Collins of New York was arrested Wednesday on charges he fed inside information he gleaned from sitting on the board of a biotechnology corporation to his son, helping family and friends dodge hundreds of thousands of dollars in losses when one of the company’s drugs failed in a medical trial. 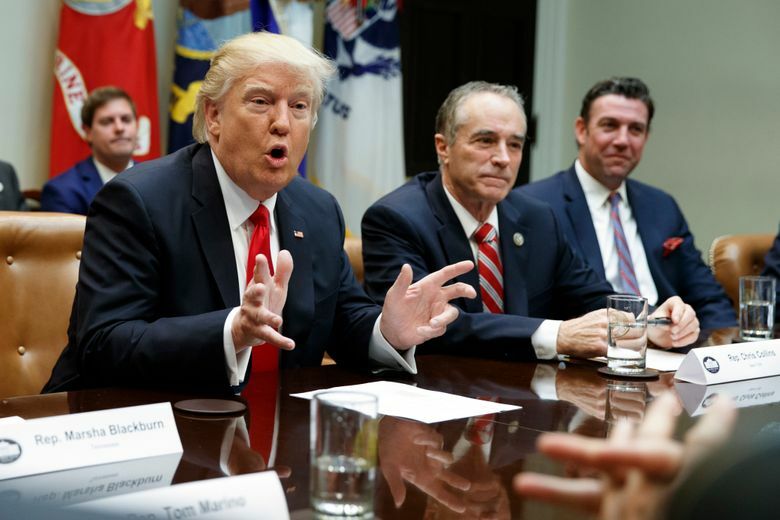 Collins, a staunch supporter of President Donald Trump who was among the first sitting members of Congress to endorse his candidacy for the White House, pleaded not guilty to an indictment unsealed at a court in Manhattan. The indictment charges Collins, his son and the father of the son’s fiancee with conspiracy, securities fraud, wire fraud and making false statements to the FBI. Speaking to reporters in Buffalo hours after his release on bail, Collins, 68, professed his innocence and said he would remain on the ballot for re-election this fall. Prosecutors said the charges stem from Collins’ decision to share with his son insider information about Innate Immunotherapeutics Ltd., a biotechnology company headquartered in Sydney, Australia, with offices in Auckland, New Zealand. Collins was the company’s largest shareholder, with nearly 17 percent of its shares, and sat on its board. According to the indictment, Collins was attending the Congressional Picnic at the White House on June 22, 2017, when he received an email from the company’s chief executive saying that a trial of a drug the company developed to treat multiple sclerosis was a clinical failure. Collins responded to the email saying: “Wow. Makes no sense. How are these results even possible?? ?” the indictment said. It said he then called his son, Cameron Collins, and, after several missed calls, they spoke for more than six minutes. The next morning, according to the indictment, Cameron Collins began selling his shares, unloading enough over a two-day period to avoid $570,900 in losses before a public announcement of the drug trial results. After the announcement, the company’s stock price plunged 92 percent. Prosecutors said the son passed the information to a third defendant, Stephen Zarsky. Their combined trades avoided more than $768,000 in losses, authorities said. They said Zarsky traded on it and tipped off at least three others. U.S. Attorney Geoffrey S. Berman, a Republican, said Collins was supposed to keep the trial results secret. All three defendants pleaded not guilty and were freed on $500,000 bail. In his Buffalo news conference, Collins acknowledged being disappointed that Innate’s drug trials didn’t go well. “We firmly believed we were on the verge of a medical breakthrough,” he said. But he said that even after learning of the setback, “I held on to my shares rather than sell them” as the law required. He said the decision not to sell cost him millions of dollars. Collins has remained a vocal Trump supporter, most recently calling for an end to special counsel Robert Mueller’s probe into possible campaign collusion and blaming Barack Obama’s administration for failing to push back on Russia. 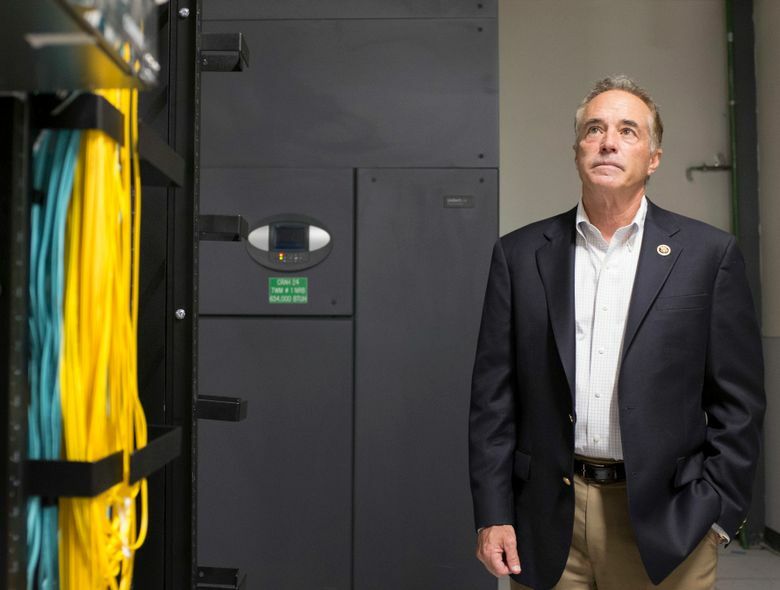 Collins ran unopposed in the Republican primary and holds what’s largely considered a safe Republican seat in a state that went to Democratic presidential nominee Hillary Clinton in 2016. He’s being challenged in November by Democrat Nate McMurray. McMurray said Collins has brought shame to the region, but he stopped short of saying he should resign. “That’s his decision to make. I’ll leave it up to him, but I know what I would do if I was in his place,” said McMurray, the town supervisor in the Buffalo suburb of Grand Island. The advocacy group Public Citizen filed a request for an investigation of Collins’ stock dealings with the Office of Congressional Ethics and the Securities and Exchange Commission in January 2017. Tom Price, who was Trump’s first secretary of the Department of Health and Human Services, also came under scrutiny for his purchases of Innate stock while he was a Republican member of Congress from Georgia. Democrats made an issue of Price’s purchase at his Senate confirmation hearings in early 2017, after the Wall Street Journal reported that company officials had said Price was allowed to buy the stocks at a low price. Price, who bought about 400,000 shares of the stock, said he’d learned of the firm through Collins but said the price he received was available to any investor. Price resigned as health secretary last September under criticism for taking pricey charter flights at taxpayers’ expense. Associated Press writers Alan Fram in Washington, Larry Neumeister in New York, David Klepper in Albany and Carolyn Thompson in Buffalo contributed to this story. This story has been corrected to show Collins was first elected in 2012, not 2014.